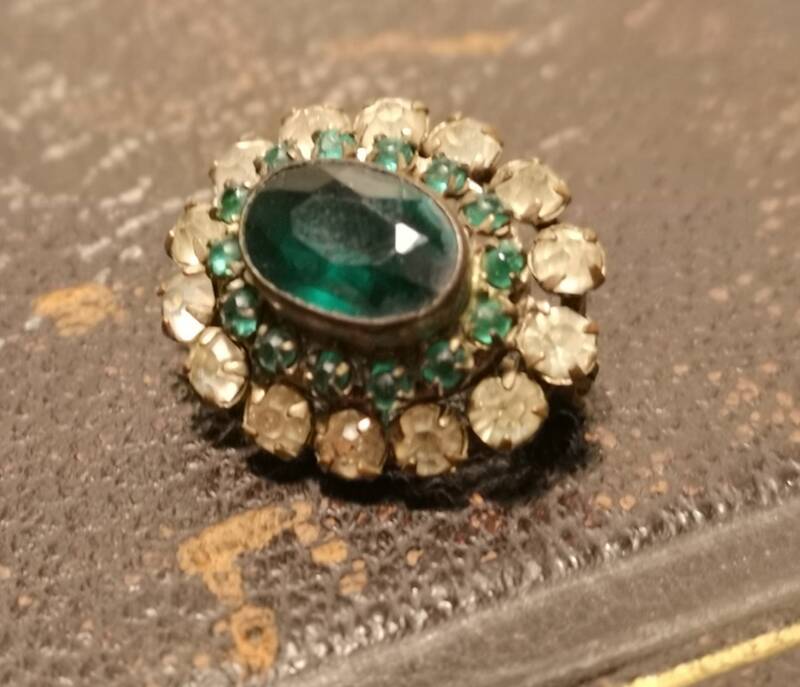 A extremely pretty and very well made early Victorian paste stone brooch. 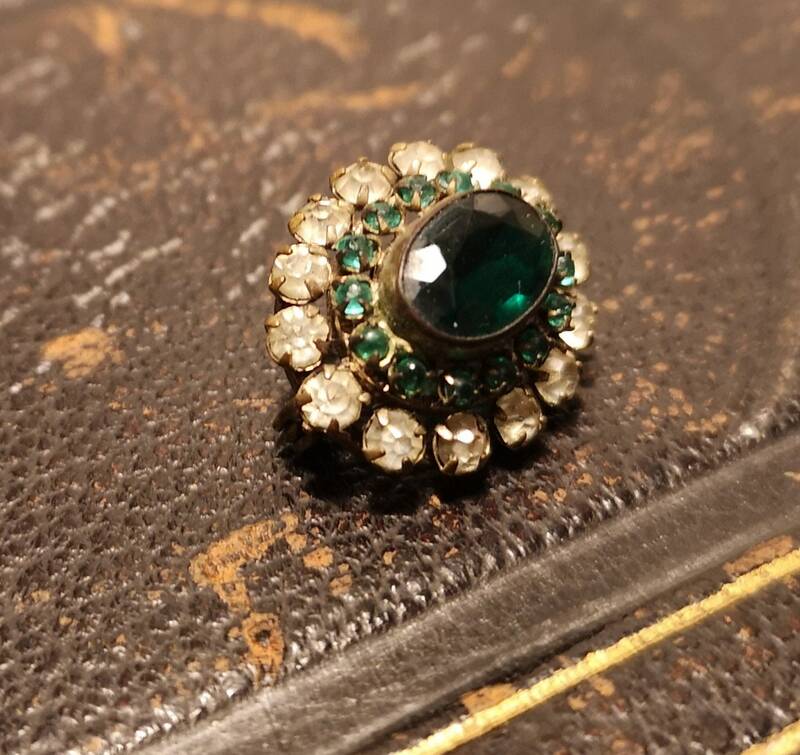 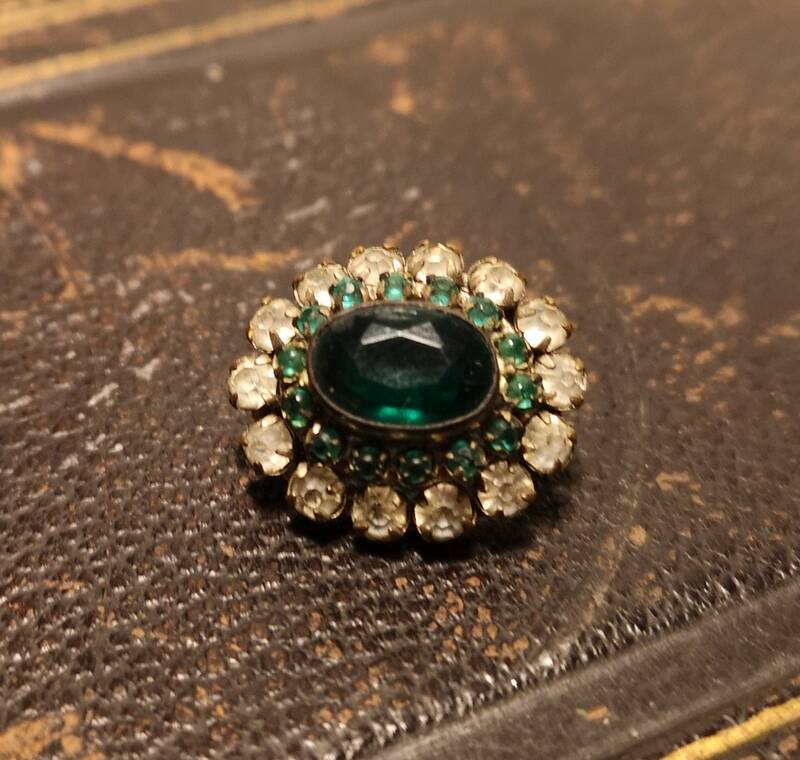 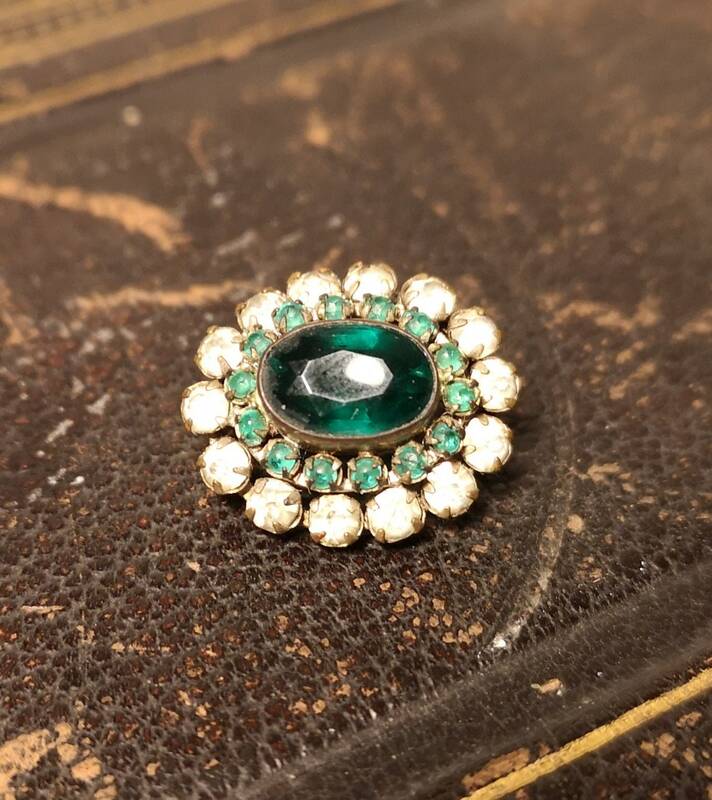 It has a large faceted deep emerald green paste stone set to the centre, surrounded by small round emerald green paste and then further surrounded by sparkling white paste on the outer rim. 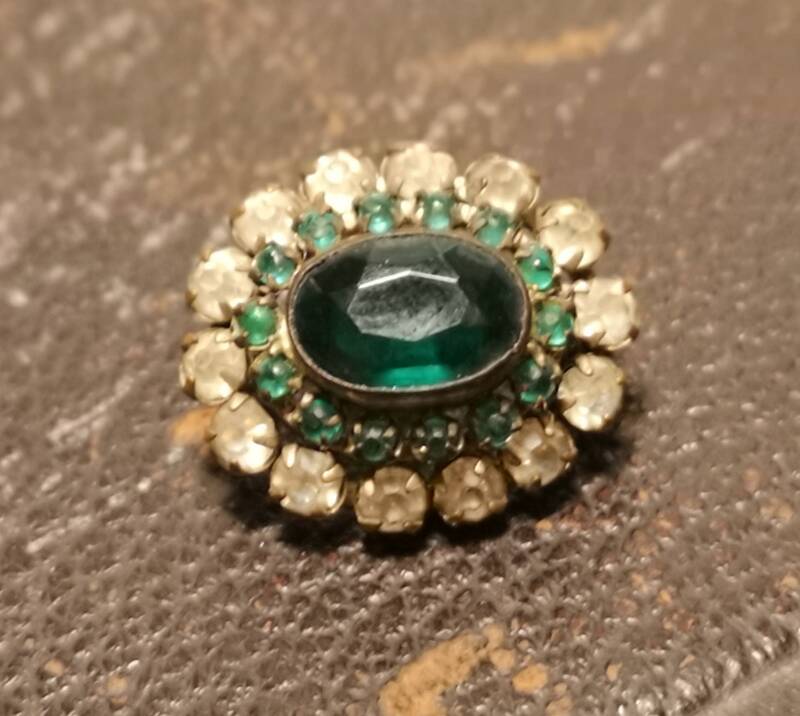 It is tiered which gives it some wonderful depth and all set in a gilt metal open back setting. 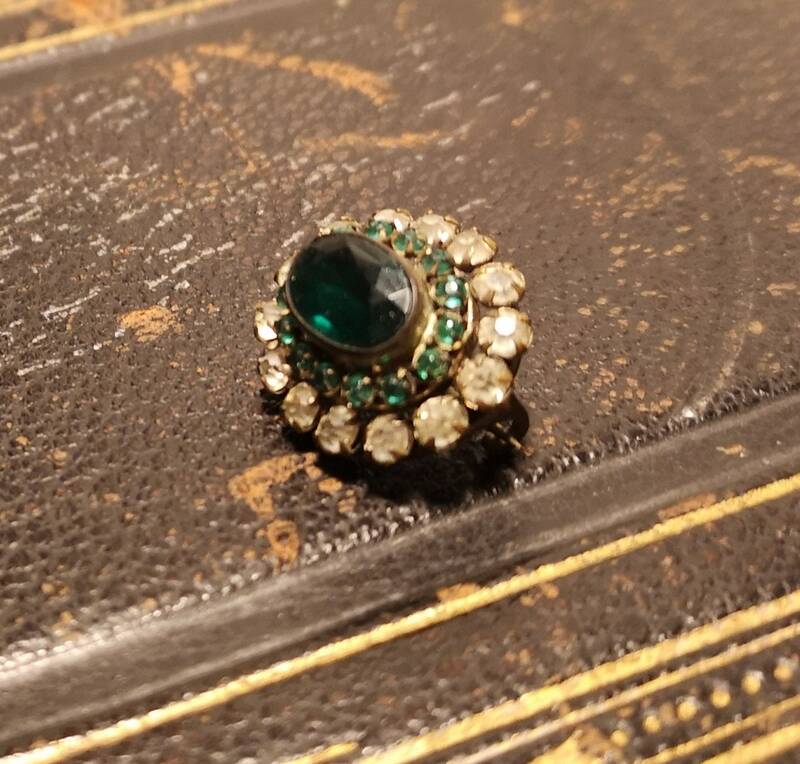 It has an old C type clasp that holds well. 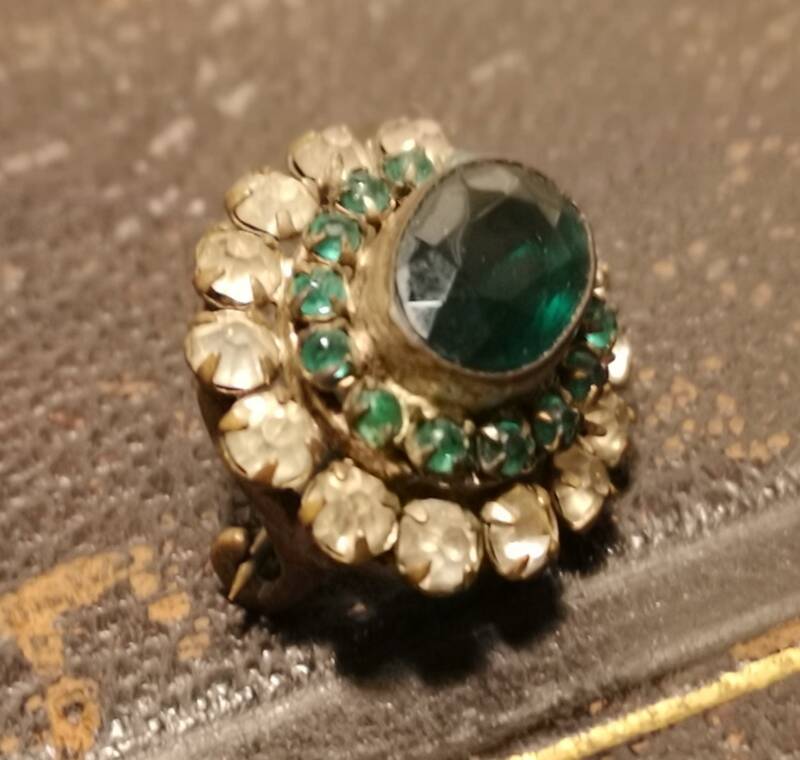 Very pretty, good condition, signs of age but all original stones intact with no chips or cracks. 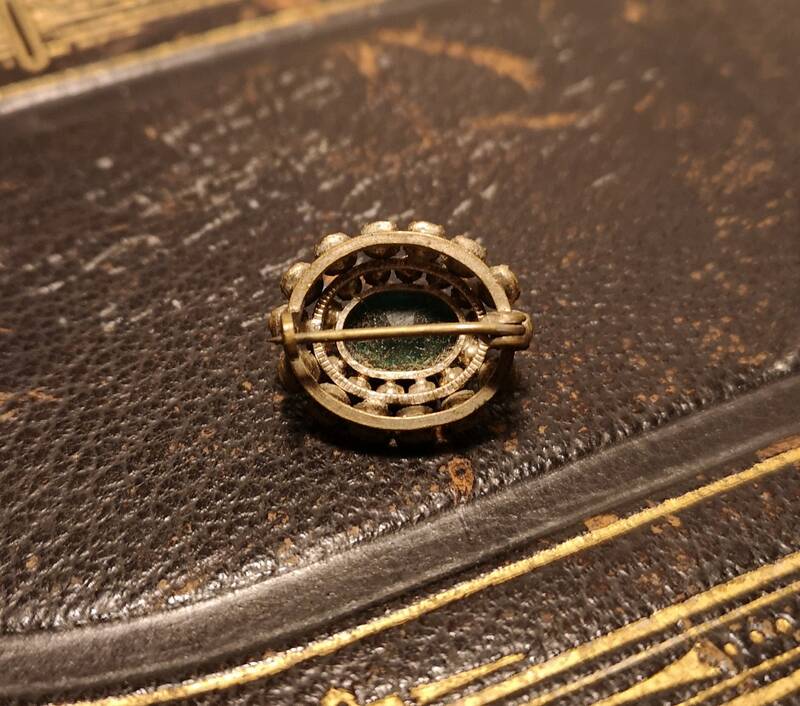 It is just under 1" in width and 0.5" height.